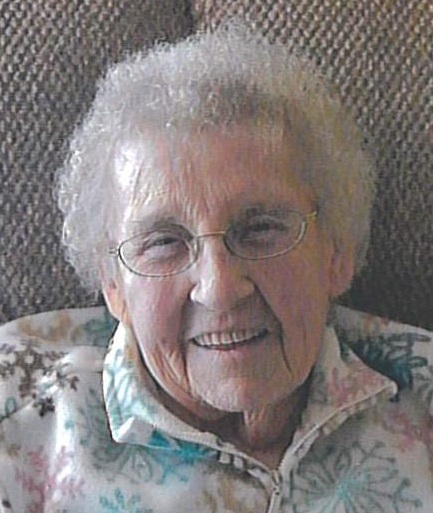 Irene “Phyllis” Mercer, age 94 of Montello (formerly of Loves Park, IL) passed away peacefully on Sunday, November 11, 2018 at Harris Villa Assisted Living in Westfield. Phyllis was born in Marengo, Illinois on October 8, 1924 to William and Vera (Basuier) Shenberger. She married Donald Mercer and together they lived in Loves Park, Illinois and she was employed at Moore Automatic. Following Don’s passing, Phyllis moved to Montello to be closer to family in 1990. She enjoyed baking, jigsaw puzzles and was known for her sewing ability; she even made several wedding gowns and bridesmaid dresses. Phyllis is survived by her son, Donny, three granddaughters: Denise, Nikki and Karissa as well as six great-grandchildren. She is also survived by her sister, Dot Nelson and brother, William (Jean) Shenberger. Phyllis is preceded in death by her parents and husband. Honoring Phyllis’s wishes, private family services will take place at a later date.